You know when you watch something and it just lifts your spirits and leaves you wishing you could bottle this feeling because you just feel like nothing is bad?! Well that’s how I felt on Wednesday night. It’s amazing how something so very simple can entirely lift your spirits because it is just simply beautiful. 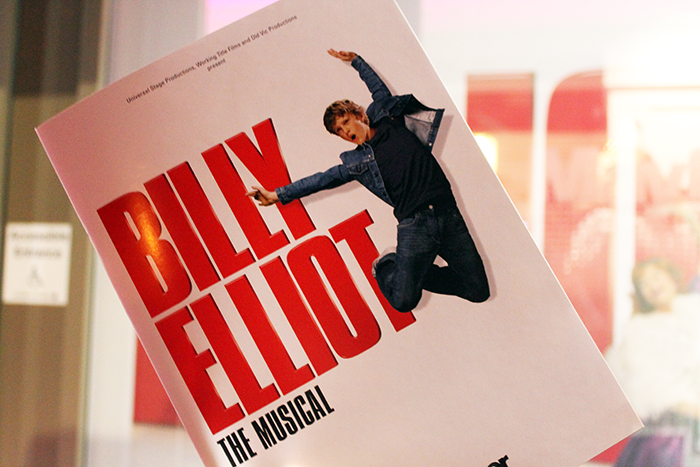 I went along with the Sotonbloggers to the press night of Billy Elliot The Musical* at the Mayflower Theatre, Southampton, and I basically now want to spend every single night there watching the show because it was very simply brilliant. A little disclaimer now! 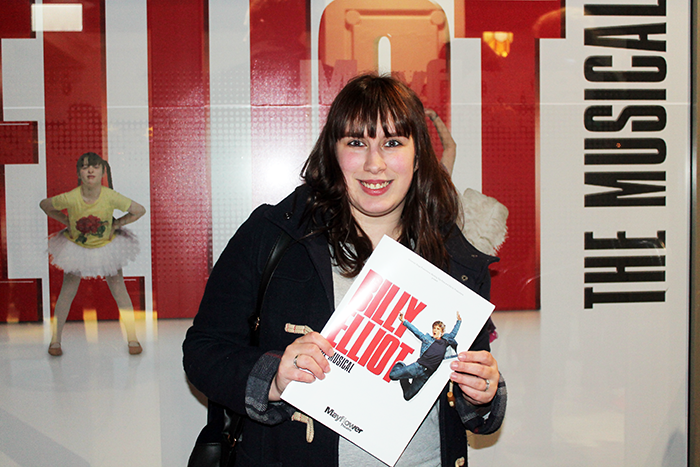 I’ve never seen Billy Elliot! All I knew was that it was about a boy and ballet. I didn’t read the press release before the show (yes I know naughty blogger, but I love seeing shows (Wind in the Willows, and Robin Hood) with a clean imagination. I feel like it allows me to have no real expectations and I can just take it in. I’ve always been a dance fan. I did dance classes when I was younger, and my guilty pleasure films include Dirty Dancing and Step Up. There’s just something about really beautiful dancing that makes me really happy. It’s my 2017 mission to get to see the ballet and I feel like I’m halfway to ticking that off now, though my wish has definitely been strengthened about tenfold now! Honestly I don’t know where to begin! It was incredibly. The sets are amazing and as always, really clever. The singing was beautiful (you guys know I cried during ‘electricity’ and the dancing, oh the dancing! Considering it is a majority male cast, I was a little worried that I wouldn’t love it as much, as I adore male/female pairing dances, but it was beautiful. 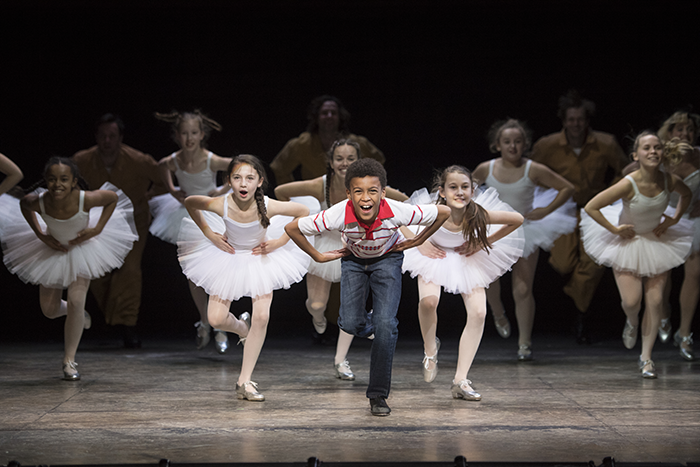 I’m not sure if I loved the adult ballet dancers, or Emile, who played Billy for our show, more? My absolute favourite scene had to be of Billy dancing with his older self (I guess) with a perfectly symmetrical routine, which took my breath away! Billy and his friend Michael’s dance routine together with the ‘dresses’ was also a huge highlight and had me truly laughing out loud. We left the show wanting to see it again straight away after a standing ovation! And I would, honestly, hand on heart, see it again in a heartbeat because it was a brilliant show. You can see the show yourself in Southampton’s Mayflower Theatre for the next four weeks until 4th March 2017, where it will be heading to Birmingham for eight weeks. *seats provided by the Mayflower Theatre in association with Sotonbloggers (Alice Spake) for review purposes – all opinions, as always, are my own. Last image courtesy of the Mayflower Press and Marketing Team. It is so good! Definitely try and go if you can! Definitely! It's so good and the staging is brilliant! Looks like you had such a great time! What a fun night out! I feel like I need to see the film now! I hope you do see it! It's so worth it! They are definitely the best! I'm addicted now! Me too! I might ask for tickets for my birthday! I have heard the show is way better than the film! I haven't been to the theatre in years. I absolutely adore it but my husband isn't much of a fan unfortunately and I'm not brave enough to go alone. Absolutely sounds interesting, I would to tell my nephew about this.